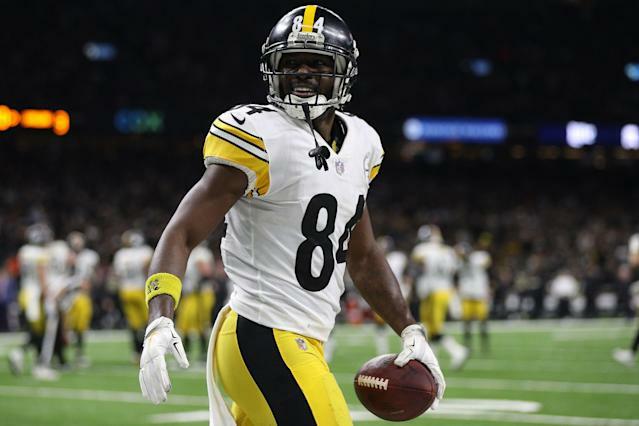 It appeared on Thursday night that the Pittsburgh Steelers were closing in on a deal to send wide receiver Antonio Brown to the Buffalo Bills, but the harsh light of Friday morning has brought us different news. Bills GM Brandon Beane told ESPN’s Adam Schefter that the team is moving on. It turned out he was right. As for why Brown is not Buffalo bound, reports indicate that Brown himself was the stumbling block. Steelers and Bills had”positive” trade talks last night, but deal fell apart because Antonio Brown nixed going to Buffalo, per source. Brown wants out of Pittsburgh, but apparently not bad enough to go to Buffalo. Beggars can’t be choosers, but Brown seems determined to be picky about his future non-Pittsburgh destination. When news broke of the close deal Thursday night, Brown called it “fake news” on Instagram. Brown is a remarkable success story. He was a sixth-round pick out of Central Michigan who rose up the depth chart and then became the best receiver in football. He made four straight All-Pro teams. He led the NFL in receptions twice, receiving yards twice, and last season he led the league with 15 receiving touchdowns. Yet, people will also remember what didn’t happen. Despite having Ben Roethlisberger, Le’Veon Bell and Brown, that group of Steelers never won a Super Bowl, or even an AFC championship. Perhaps part of the reason for that was the seemingly constant controversy in the Steelers’ locker room, and Brown was a big part of that. Last season, before a Week 17 game, Brown and Roethlisberger reportedly had a disagreement, though there are conflicting stories on what actually happened. Brown missed meetings and practices after that and was benched for the game. That essentially ended his nine-year Steelers career. On one hand, trading for Brown could be an easy decision. He is a fantastic receiver. In addition to his 15 touchdowns last year, he had 104 receptions and 1,297 yards. He’s still very productive. But it isn’t without risk. Brown will turn 31 on July 10, and very few receivers are productive into their mid-30s. Teams that mulled paying a significant price for Brown had to weigh the reality that they might be paying for just a couple more years of prime play. And, of course, it’s hard to overlook the drama that Brown brings with him. What he did before the season finale last year can’t be totally ignored.